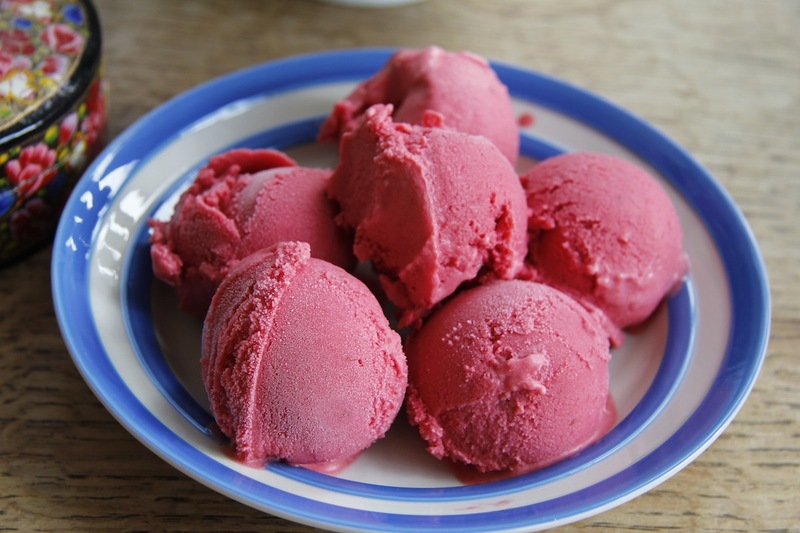 Before we left for Scotland on holiday – right before we left – I realised I had two cartons of organic double cream in the fridge and a box of just picked raspberries. 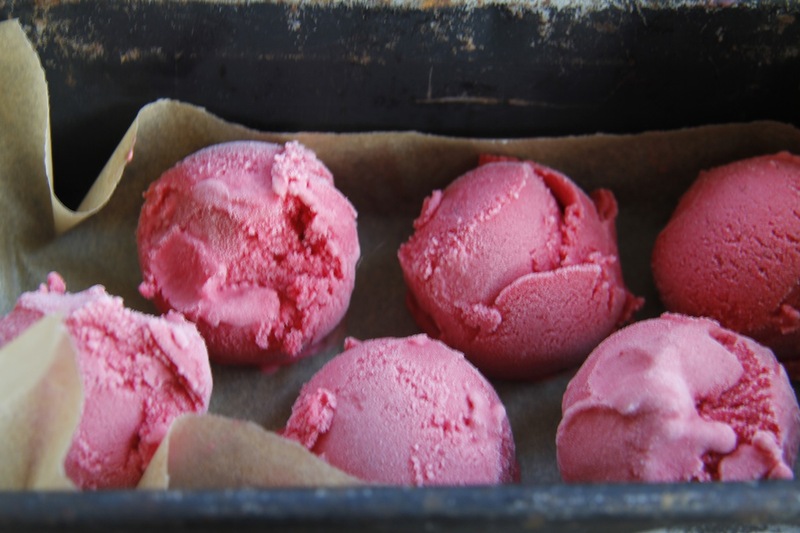 I wasn’t going to let these go to waste so I did, what I like to think, any normal person would do – rather than pack I made raspberry icecream. This was extremely simple. Put raspberries in liquidiser – add sugar and blitz. Sieve. 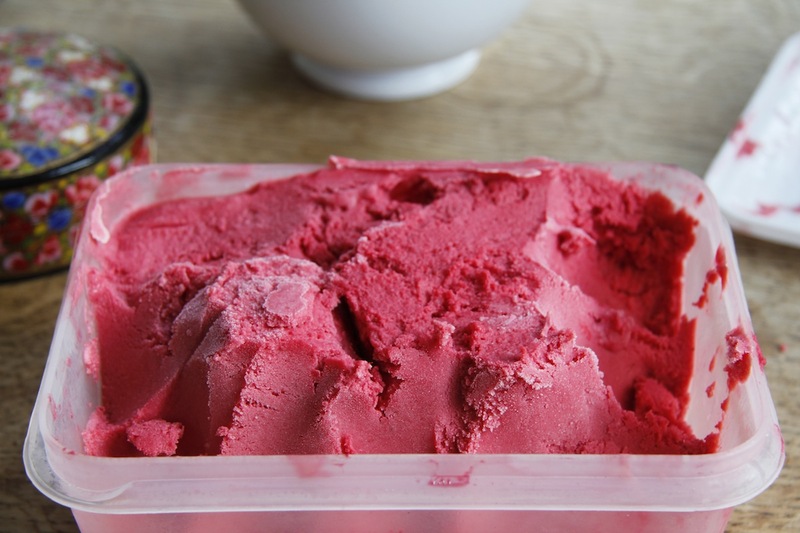 Whip double cream, add in raspberry puree, churn in icecream maker. There are no amounts as I used what I had – just add sugar to sweeten, but remember that when food is frozen it never tastes as sweet so add some extra sugar. I think I used icing sugar. We had some when we got back and both thought it would go nicely with dark chocolate. 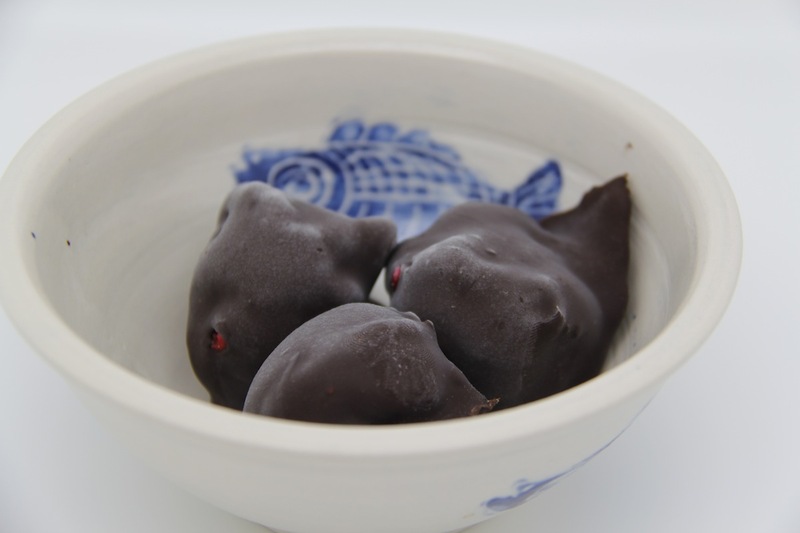 Hence the idea for my birthday dessert was born – raspberry icecream balls coated in dark Montezuma chocolate. Let the icecream melt and then scoop out balls and freeze them again. Melt chocolate in a bowl above a saucepan with a little simmering water in. 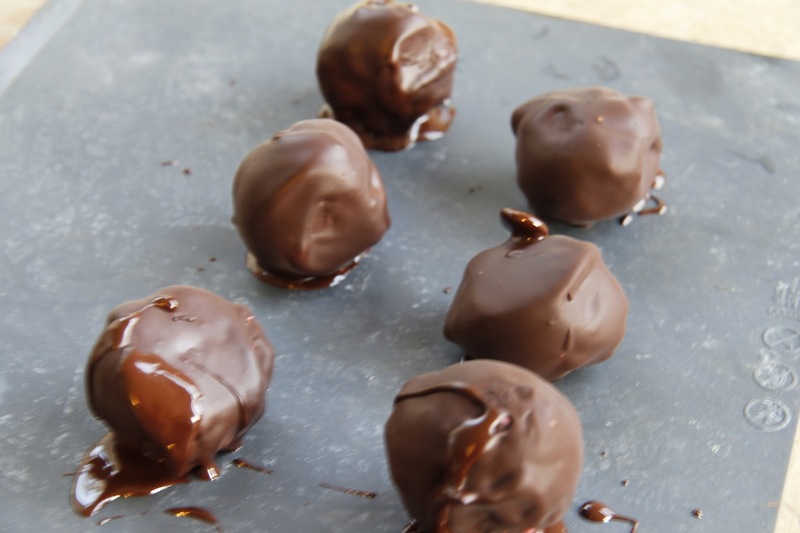 Dip balls in chocolate and put on baking tray with baking paper on. When you have done them all put them back in the freezer. When frozen put in a pot or eat them! This looks so gorgeous! I’m meaning to try out several of your recipes, but there’s a big queue. It’s a bit like the book pile waiting me! Thank you. I know what you mean about book piles. I am firmly of the opinion that just by stacking books next to my desk I will somehow, magically, become aware of their contents – and this is just work related books – I gave up long ago trying to find time to read fiction! Even if I didn’t buy any more books ever I would have enough to keep me going for years.